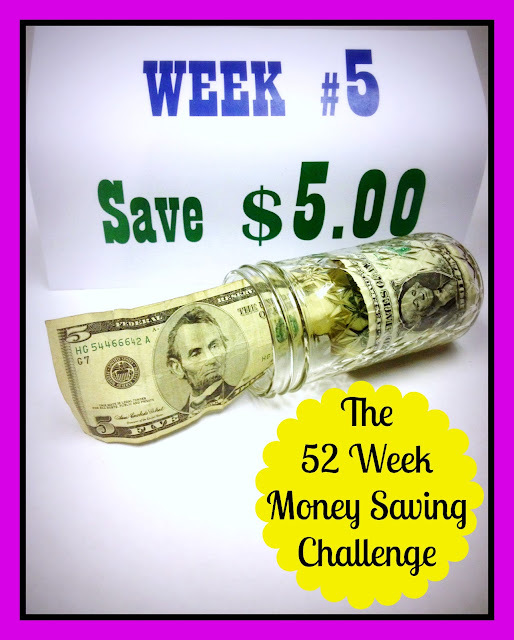 Welcome to Week #5 of The 52 Week Money Saving Challenge. This week, we save five dollars. 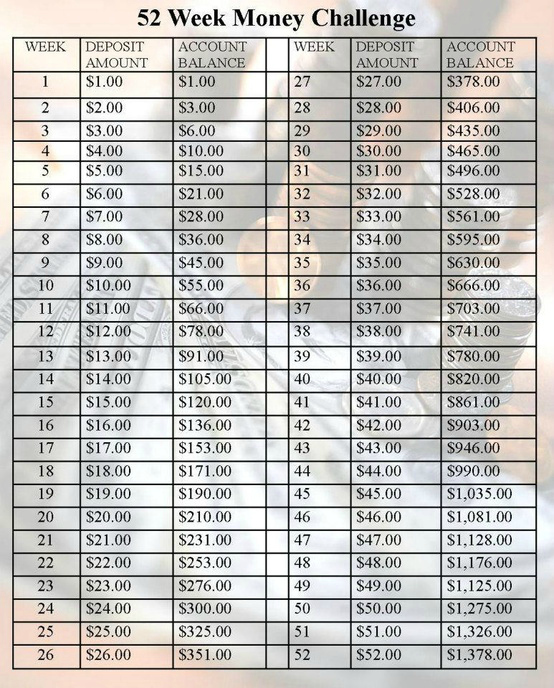 Congratulations to those who have already accepted the challenge and are saving right along with me. So glad to have you all doing the challenge with me. There is strength in numbers. To those of you who are considering it but have not yet committed, consider the following statements. Answer: You won't lose anything, because there is no requirement to report or register and no fee involved. If you need a secure place to stash your cash, use your imagination. How about an old sock under the mattress or an envelope hidden in a place that nobody would ever look? Be creative, I know you can do it! Question: What can you gain? For a free printable chart, click on link in the photo caption below. I am so happy to share this with you. Saving money is fun! We started with a meager one dollar bill, and as of today we have a grand total of fifteen bucks. Until next week, happy saving!